In this house, we love having fun with food; so, I partnered with Farm Rich to bring you this super fun breakfast to make for or with your kids! On days we all wake up on time, I love getting crafty with food and making special breakfasts for my boys, especially when they include recipes the kids can make with me. The breakfast of the day? PS, be sure to look near the end of this post for a collection of frog activities including a color-by-number and a children’s book! There is also a printable version of this recipe. For this super fun breakfast, we used Farm Rich French Toast Sticks (find them in the frozen breakfast section). 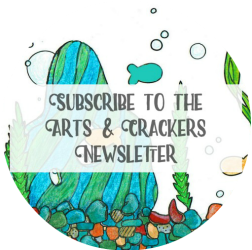 If you love exclusive offers and promotions like I do, sign up for their newsletter. Farm Rich is all about “Real-Life Good,” making the most out of life even when it gets a little unpredictable and crazy! I am in love with the Breaded Mushrooms, dipped in ranch, and their Mozzarella Sticks and buy them all the time! Here’s how you, too, can make this crazy cool breakfast! The night before, start by making some frozen frog legs. I used key lime greek yogurt and piped it onto some wax paper (with a hand-drawn template and a cookie sheet beneath) using a sandwich bag with a tiny piece of the corner cut off. Stick them in the freezer to harden. These will melt and make a little mess, just have to be honest. If you want to avoid this, you can try making green-colored fried eggs and cutting out leg shapes. Here is a printable template for the frog legs–it will be a big help. Make fun spiral tongues using a toothpick, a strip of pink construction paper, and some tape/glue. Curl up the construction paper and attach the flat end partway down on the toothpick. Mix a tiny, tiny bit of food coloring into some light karo syrup. Spoon a small amount of the blue syrup onto a plate. Okay, this will be quite messy too. If you want, you can skip this and find a blue plate instead. We ran out of blue plates, so we just used a paper plate. Time to make the eyes. These large candy eyes are great because they are less work and look perfectly like eyes, BUT, we only had the tiny kind at home so we made eyes using white melting chips and a black food coloring marker. Slice some grapes into coin shapes then cut out a pie piece shape from each to make them look like lily pads. I know some parents are nervous around coin-cut grapes, so cutting that chunk out of the side helps. Please be sure not to skip this step. Here is my favorite part. It gives my husband the heebie jeebies. Well, a fly out of fruit. Here’s the whole story. The night before I was all set to make this breakfast, my husband had been working outside, coffee drink nearby. He decided to go take a drink and something went into his mouth. He pulled it out….it was a giant fly!! Yuck. Our “fruit fly” was too soon for him (I find it rather humorous), but the boys loved it. Making the fly is simple. Find two sturdy almond slices, cut a small slice on either side of a raisin (do not cut all the way through), then carefully stick the almond slices into the slots on the raisin. Now that you’ve seen a little how this is going to work, it’s time to grab everything together. For the frog, we used a green apple with part of one side cut off so it sat down flat. We then stuck the toothpick-only end of the tongue into the top of the apple where the stem is. To add the eyes, I carefully cut a shallow, round divot on either side of the head above the tongue so the eyes would sit inside. The eyes will probably not stick well by themselves, so you might have to do what we did–very slightly melt two melting chips and push them into either eye socket and stick the eyes on top before it melts. If you use candy eyes, you can still do this or maybe try adding a little of the karo syrup to make it stick. Set the cooked french toast stick onto the plate on top of the blue karo syrup. I let this cool to room temperature first, rather than keeping it piping hot, so it didn’t melt the frozen yogurt legs too quickly or make the apple gross. My kids prefer eating room-temp foods anyway. Put the two front legs on top of the french toast stick. From here, you’re going to want to work quickly. Carefully set the apple frog on top of the legs so he’s leaning up on the french toast stick log. Add the frozen back frog legs to the sides of the apple (you will just lean them up there) then decorate with the “fruit fly” on his tongue and grape lily pads all around. This is such a fun treat to serve if you are doing a lesson plan on frogs (or bogs/swamps)! Plus, it’s easy enough that kids can assemble it! I did cut up the apple and helped coin the grapes, but he assembled just about everything else, from the water to the eyes to the legs. He was very proud of this masterpiece and asked me to take a picture! SUPER FUN WORKSHEETS and even a short children’s book are available in my online shop right now for a low price! Be sure to check them out. E loves when I let him help make crafty food and do activities to go with it. 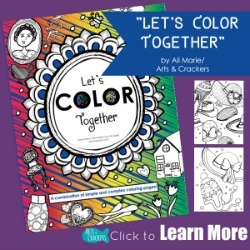 Besides the fun book, you will find worksheets like a color by number, limerick builder, rhyme sheets, and more! Package includes: “Frog on a Log in a Bog” short beginner story, story review, limerick builder (for older kids), “What’s in a Bog?” game, circle the rhymes activity, rhyme match activity, spell the words activity, color by number, and an answer key. Have you seen this Frog in a Pond Plate Craft? You totally have to try this Frog on a Log in a Bog breakfast! It is actually quite simple and definitely a great way to involve the kids. I would love to hear from you in the comments below–-What is your favorite breakfast? Do you ever make crafty food? Do you have a favorite Farm Rich snack? For more crafty food inspirations with Farm Rich, visit their Inspiration Page! apple, breakfast, crafty food, DIY, food, frog, kid-friendly recipes, kids, printables, recipe. Bookmark. This is hands-down one of the cutest kid’s food ideas I have seen! I didn’t realize Farm Rich had breakfast items – I thought they only had snacks/appetizers!! I will have to check out all their products next time I am in the grocery store!! Thank you, Sarah! Yes, I was excited to find that out too! My kids think the French Toast Sticks are so tasty. I can totally see my kids loving this edible craft! Makes snack time fun! Thank you! My boys loved it. Thanks, Menucha! Both my boys loved it. What a fun breakfast idea! We love French Toast sticks! My son would love this. He loves sour tasting foods and he likes green apples. This would be a fun breakfast idea for him and I to do! 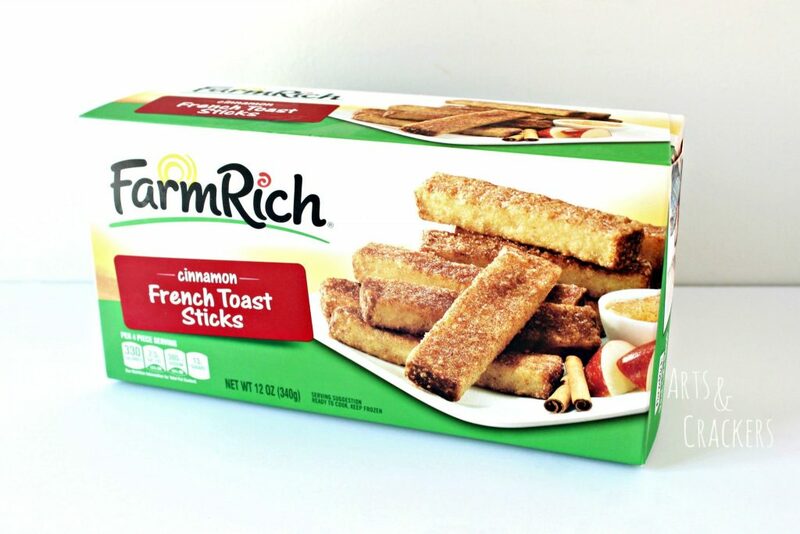 I like the Farm Rich French Toast Sticks! Thanks for a fun breakfast idea! So cute! The fly was the grand finale! This would be a huge hit in my house, I love playing with kids foods. Thanks for the idea. What a cute idea! And kids coming to a breakfast table with a surprise like this – nice way to start the day! and healthy, too! This is absolutely adorable! What a fun breakfast (and healthy) for kids! Thank you, Dana! The kids had a blast with it (making it and eating it!). The raisin fly is a nice touch.